“How dirty was your weekend?” Our motto is a competition between the staff. 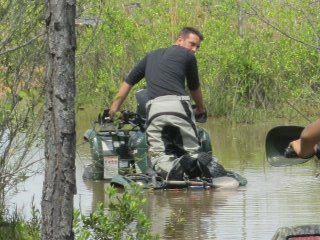 With a passion for the outdoors, an offroad vehicle, a few cameras and the belief that no ATV is ever a finished project we will continue to bring information about ATV, accessories and great places to ride from our first hand experiences. We are constantly reaching out to manufacturers and vendors looking for the latest products to tell you about. 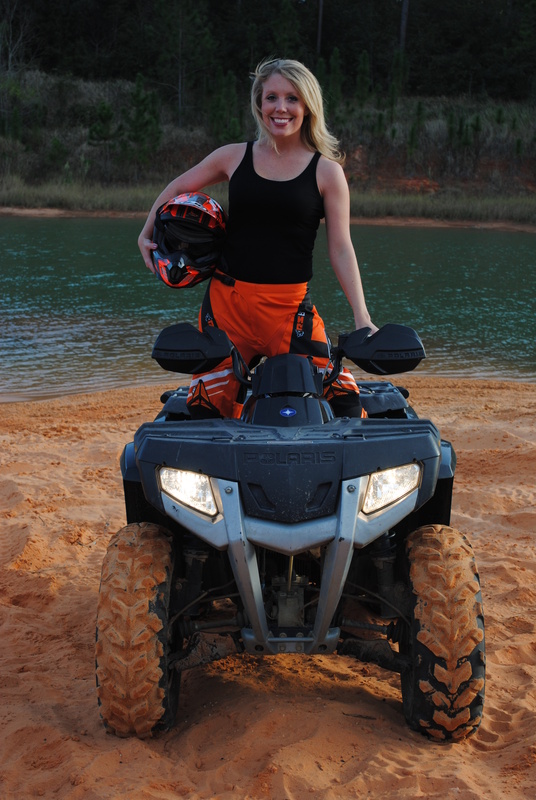 I fell in love with ATVs when I moved to rural Mississippi as a kid. I mowed lawns in my early teens so I could finance a new 1995 Yamaha Timberwolf. I’ve been hooked ever since. My Ride: 2014 Honda Rancher DCT, RAM Aqua Box Pro, Ricochet Offroad Armor, ROX Speed FX Foot Pegs, Superwinch Terra 35. About Me: It doesn’t get much better than warm mud, cool breezes and hitting the trails with good friends. A converted city girl, I’ve learned the finer things in life are dirty. My Ride: 2006 Polaris Hawkeye 4×4, Pure Polaris handguards, winch and bumpers, CV Restorations Monster Axles, Cycle Country CV Boot Guards, QuadBoss Weekender cargo box, RAM Aqua Box, RZR LE alloy wheels and Maxxis tires. About Me: Official mud hole depth tester. Guaranteed to get stuck on a trip. Record holder for drowning ATVs. My next ride will be an amphibious. 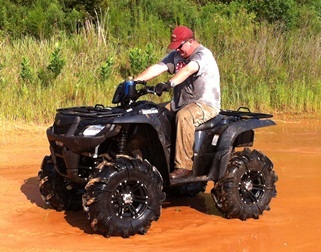 My Ride: 2011 Suzuki KingQuad 500AXi with 28″ Gorilla Silverbacks, SS rims, a 3″ lift and RAM drink cup mount.